When it comes to preparing for oral surgery in San Diego, the patients of Marcos Ortega DDS are given 6 important instructions to get them through from start to finish. Understanding the pros and cons of a procedure helps you attain the ideal outcome. 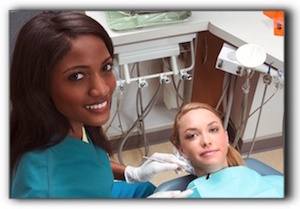 This essential knowledge about your dental experience opens up a conversation with our staff. What are the alternatives to having it done? Why is this the best option? How many visits should I expect? What kind of complications or risks are there? This is not just for billing purposes. The conscientious staff here at Marcos Ortega DDS want to prepare for any emergency. Making sure your personal contact information is up-to-date helps us convey important information to you post-procedure. While Dr. Marcos Ortega has a gentle, responsive touch, we find that slight pinches and cramping and other pain can ensue while you are in our chair. When the doctor asks if you are comfortable during the oral surgery in San Diego, please be honest. We understand it is problematic to communicate clearly when your mouth is inundated with tools. Experience has helped us to read your cues. Let us make you as comfortable as possible. After any extensive procedure, it is important to allow a period of rest for your mouth. This rest period may vary depending on how the procedure goes. This instruction will be given to you along with any other required recovery instructions. Follow these as issued. We appreciate your business and we appreciate the way the San Diego communities have spread the word that Marcos Ortega DDS is San Diego’s best kept dental secret located right here in San Diego. We are so grateful for the trust you’ve placed in our hands. Thank you. We would love to have you invite your friends to enjoy the same excellent service and care we’ve given you whether they need dental crowns, restorative dentistry, dental implants, teeth whitening, sedation dentistry, or specifics on how to improve general oral hygiene. We are here to serve.